About 10,000 years ago a slow migration started westwards across what is now Europe. Approximately 4,000 years ago these peoples arrived on the western shores of Europe and settled here. They were the earliest peoples who did basic farming, planting crops to feed their families. 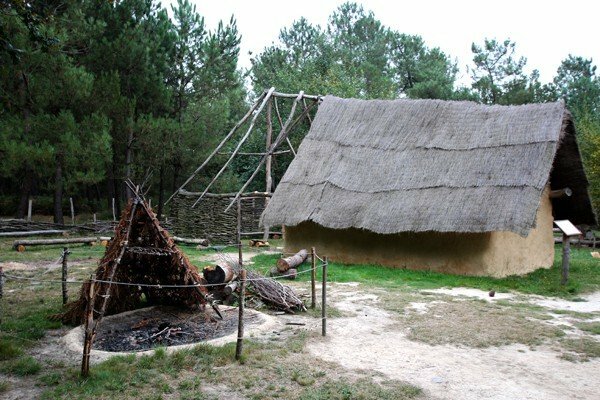 This meant that they were also the first people who by virtue of producing more food than they needed on a daily basis were also able to spend time and energy on things other than collecting the daily requirements. 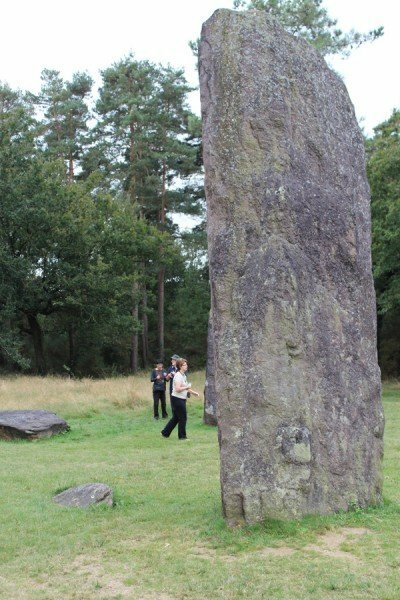 For some reason that will never be known they felt it highly important to cut, dress, transport, and raise large stones in various important locations, sometimes in patterns and sometimes with astronomical significance. These sites occur on the western seabord from Northern Spain, up through France, Wales, Ireland and right up to the very northern isles of Scotland. 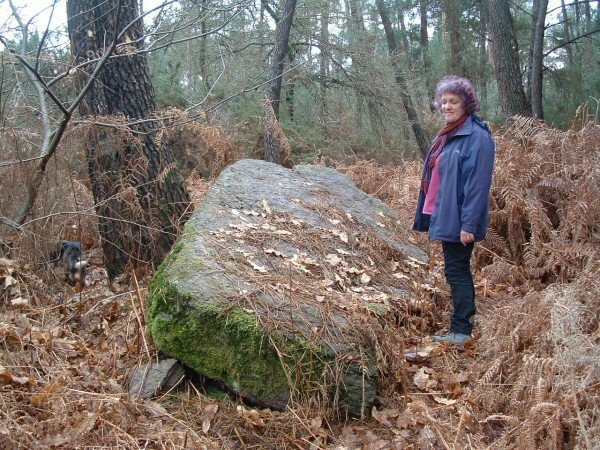 It seems reasonable to assume that they had a seafaring side to their society and took their culture of using large stones (megaliths) with them. Brittany, being a large peninsula sticking out into the Atlantic south of England would naturally have been on these sea routes and is home to the majority of major sites. The most famous of these being Carnac on the south coast of Brittany where several rows of stones extend up to 3Km long. This site is so well known and highly visited that access is limited to prevent damage. It can be very busy as well. However we “Slow Travellers” know that there are other sites that are equally fascinating where we can peacefully spend time amongst the stones away from the hordes and coaches to reflect upon the society that placed them there so long ago. Our favourite site is at Monteneuf between Malestroit and Guer. The site is centred on the top of a hill. We cannot know now, but if the woodland were not there at the time then the site would give all round views of the surrounding countryside. Over the millenia the site became wooded, the stones forgotten about and lost in the dense undergrowth. However in the middle ages the Catholic Church decided that they were a relic of a pagan past and should be torn down. After this with the stones laying on the ground the site was once more forgotten about until the early 1970’s when a series of brush fires swept through the dense undergrowth and some stones were once more discovered. Luckily someone brought them to the attention of the state archeaeologists who organised a survey. Expecting to find half a dozen or stones among the woods they were amazed when they discovered over 200. Some are large single stones, some are in lines and the main site has a line of them running E-W as well as a circle. The largest is over 35 tons in weight. You can even see where a stone was in the process of being cut when the site was deserted. 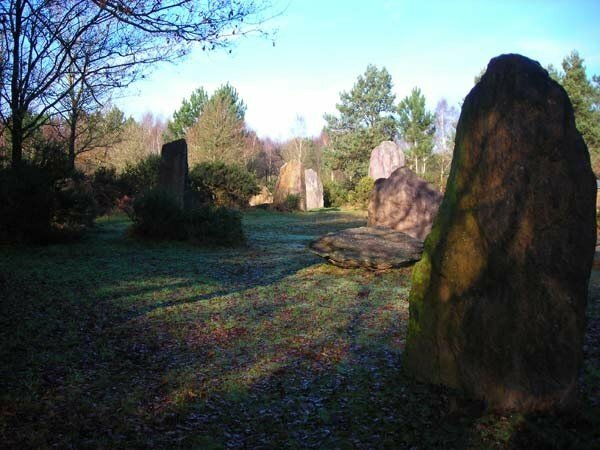 The site has recently benefitted from a make over along with a demonstration area where you can see how they mounted the stones on sleds then moved them using rollers. I once watched a class of school kids looking on with utter amazement as 2 teachers moved a rock weighing over a ton by themselves. 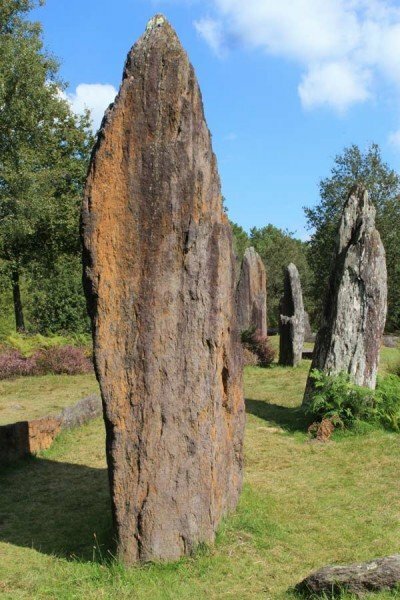 The whole of Brittany has examples of megaliths either in singles or groups. There are also burial sites both at Monteneuf and elsewhere and give the interested slow traveller a whole series of places to visit and research.